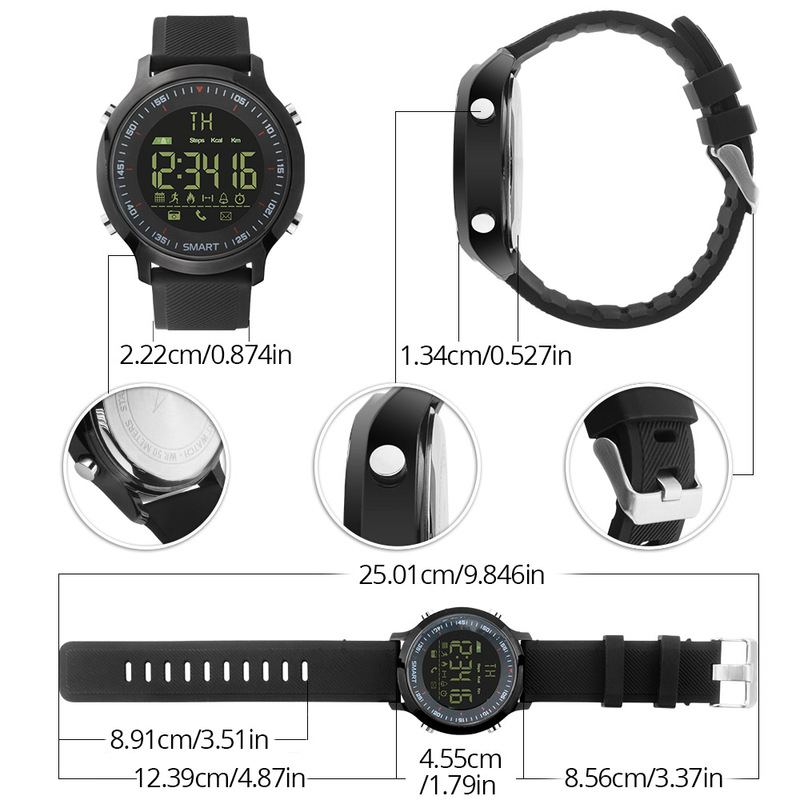 5 ATM, IP68 Professional waterproof. 240 days battery life under normal use. Compatible with Android and iphone. 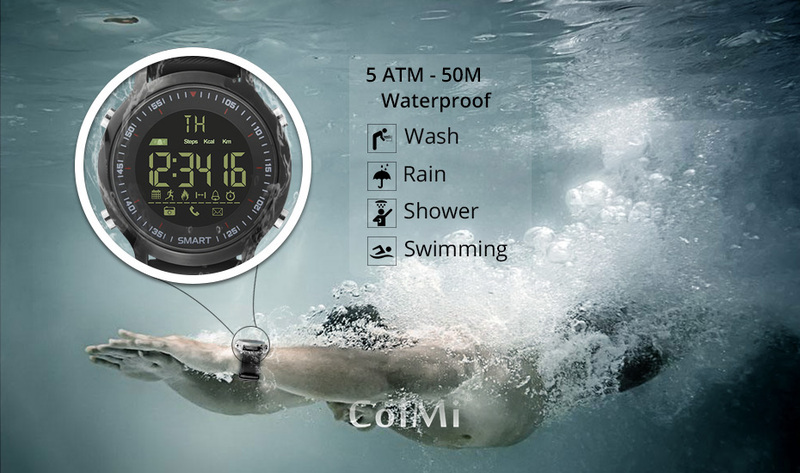 5 ATM (50M) or IP68, Suitable for Bathing, swimming, white water rafting, and fishing. 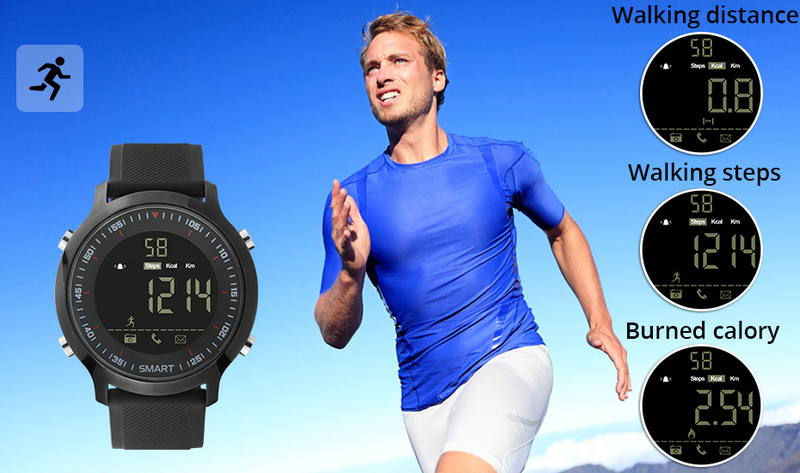 Passometer, calories, mileage etc data is always at your fingertips. 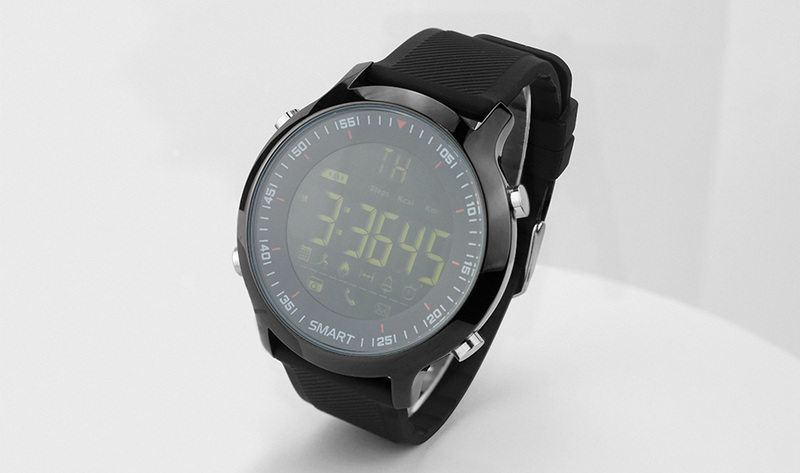 The watch will bleep to remind you when incoming call or message in your work time. 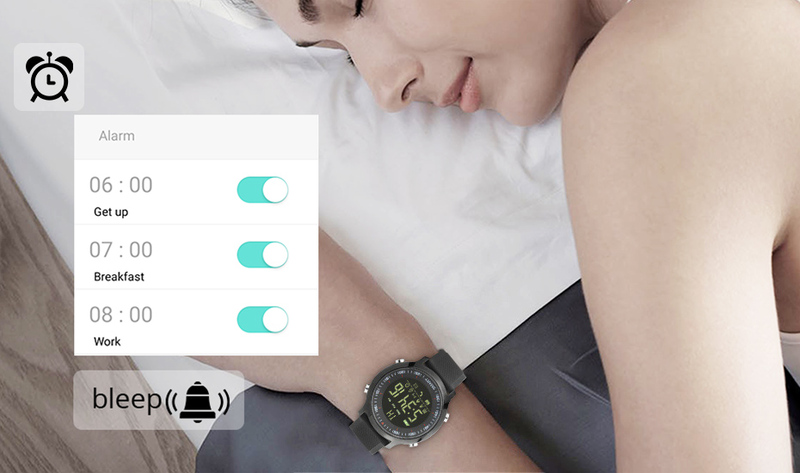 3 alarms could be set from phone APP, when time's up, it will remind you from your wrist. Even at night can see. 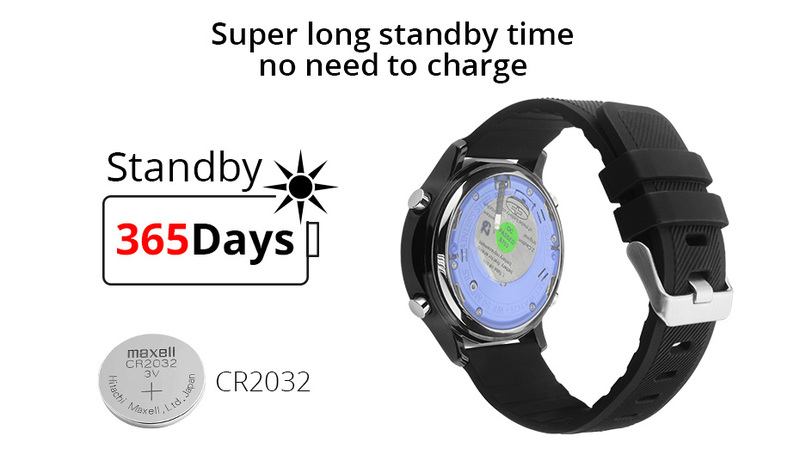 Use CR2032 battery, 240 days battery life under normal use, 365 days battery life under energy-saving use. 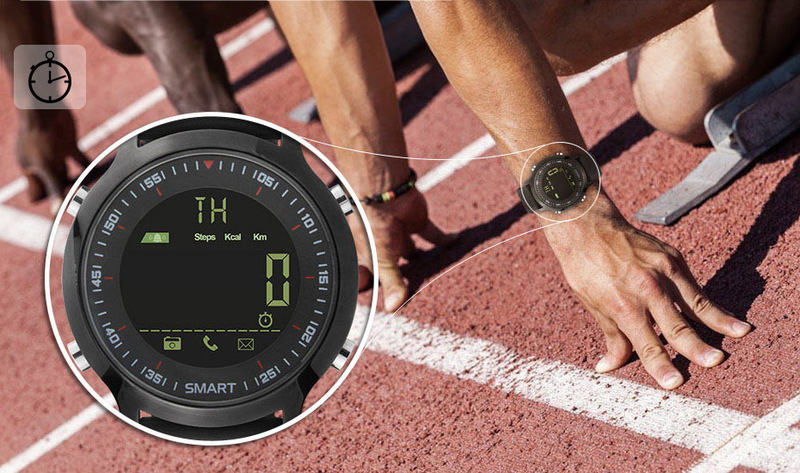 You can not only connect the phone to display the sport data, but also display the sport data independently. 1. 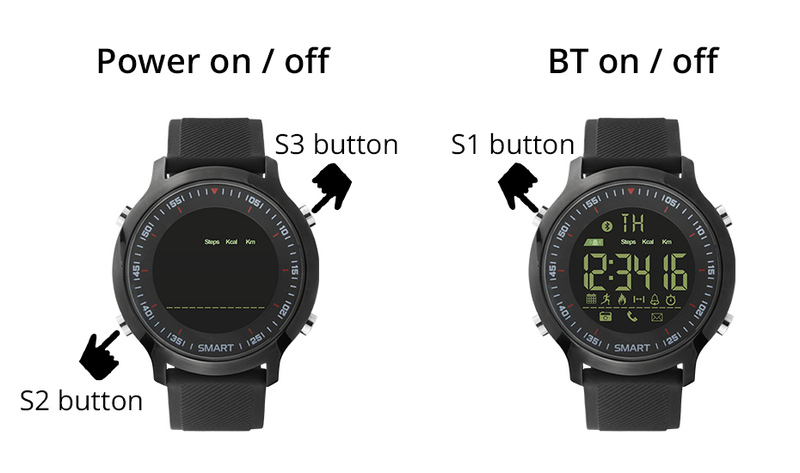 Power On: When the watch is switched off, long press S2 and S3 buttons until "ON" shows in the center of dial, then the watch will be switched on. 2. Open BT: long press S1 button (for about 3 seconds) until the BT icon shows and flickers on dial, which means BT has been turned on. 2. Open your phone Bluetooth, then open the App "Sports+". 3. 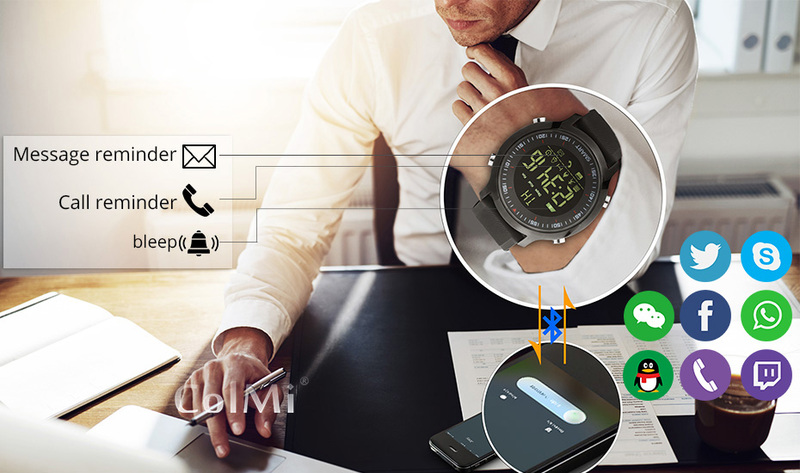 Select "Device management" to connect the watch. Q. What is the name of APP? A. "Sports+", you can download it at google play(Android) or app store(IOS). Q. What is the language of the watch? A. The watch itself does not have language, but APP supports English, Russian, Spanish, Italian, Portuguese, German, French, Japanese, Korean, Arabic. Q. 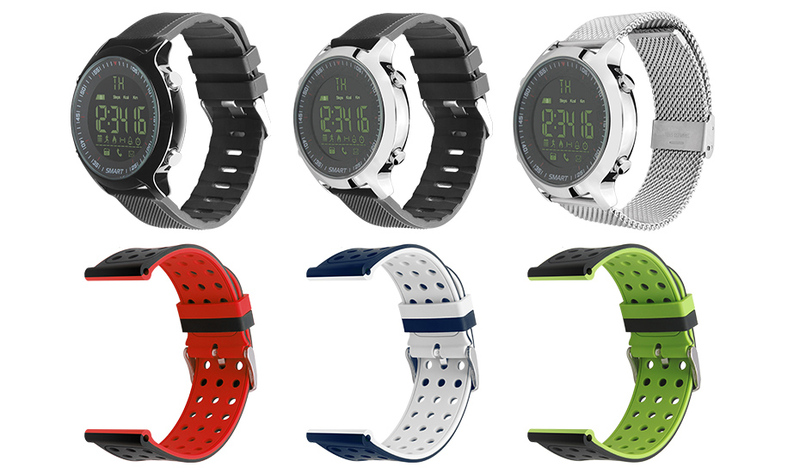 Does the watch have a vibrating function? All the functions described are truly credible. Warranty: 1 year warranty for the defective watch without man-mad damage. Do not press any buttons in the water.